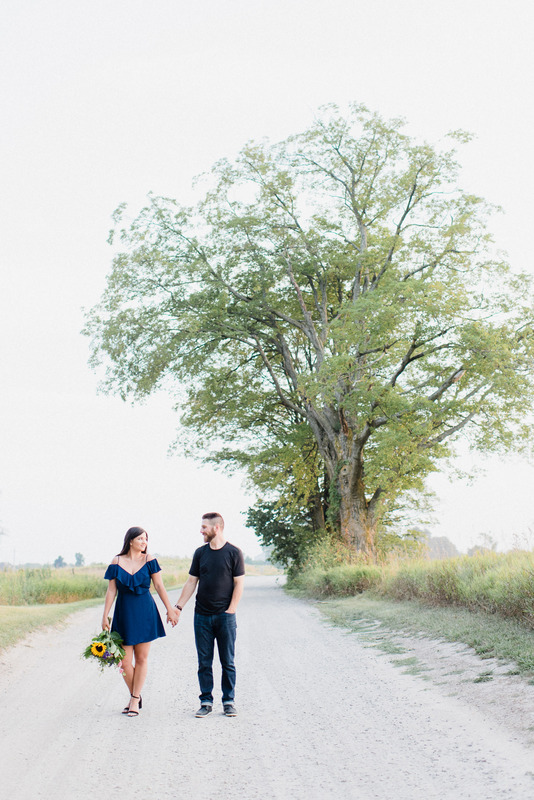 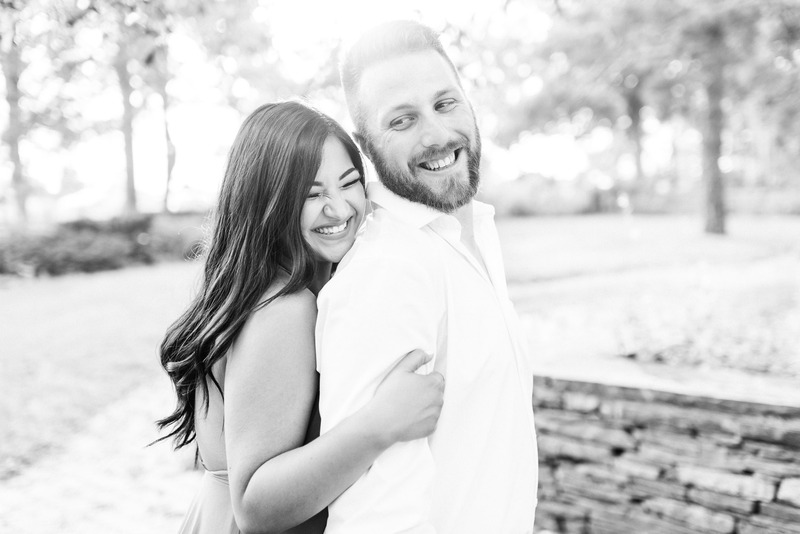 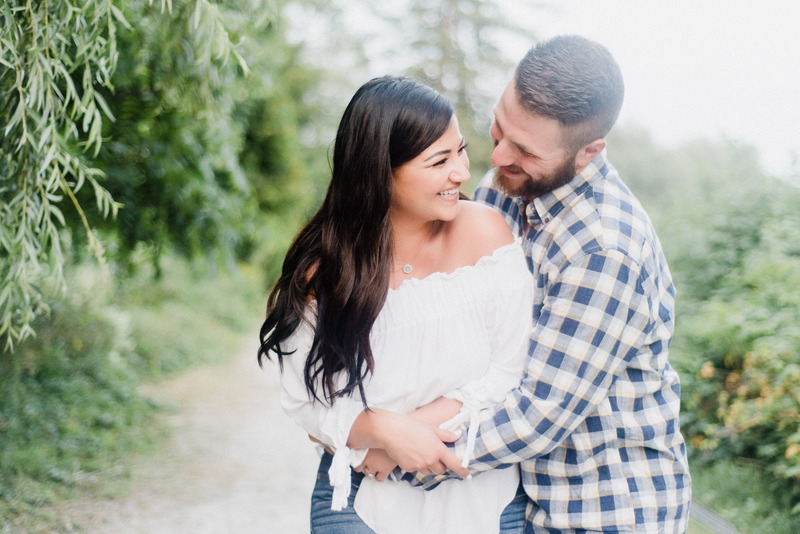 Leanna and Andrew’s Georgetown engagement session was one of my absolute faves last summer! 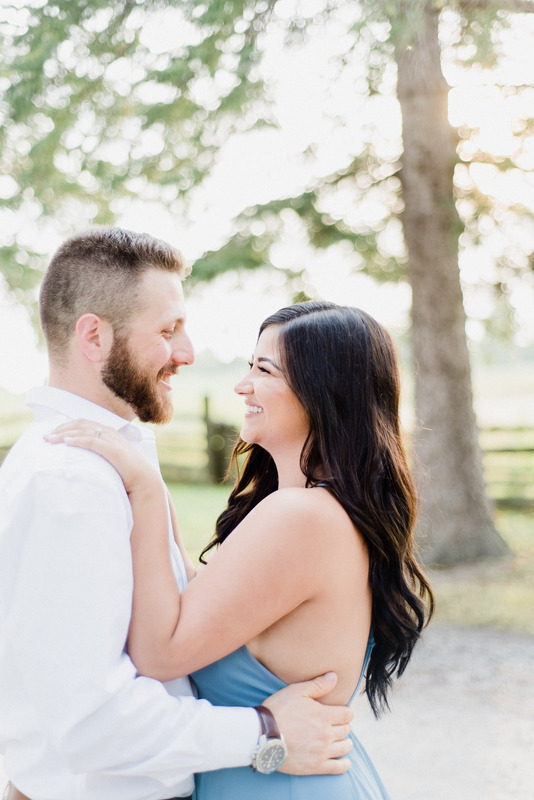 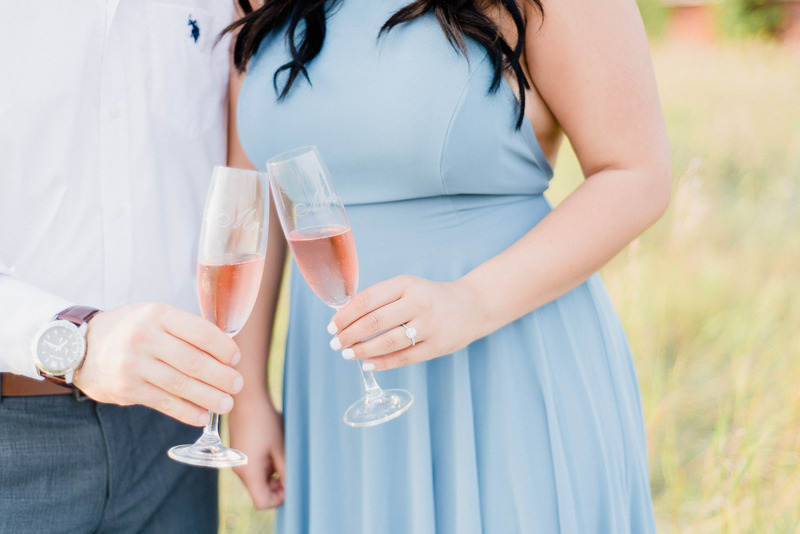 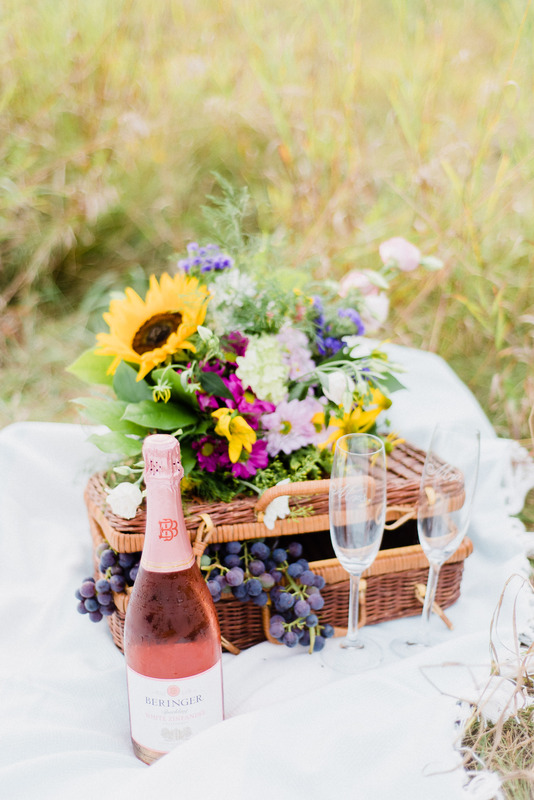 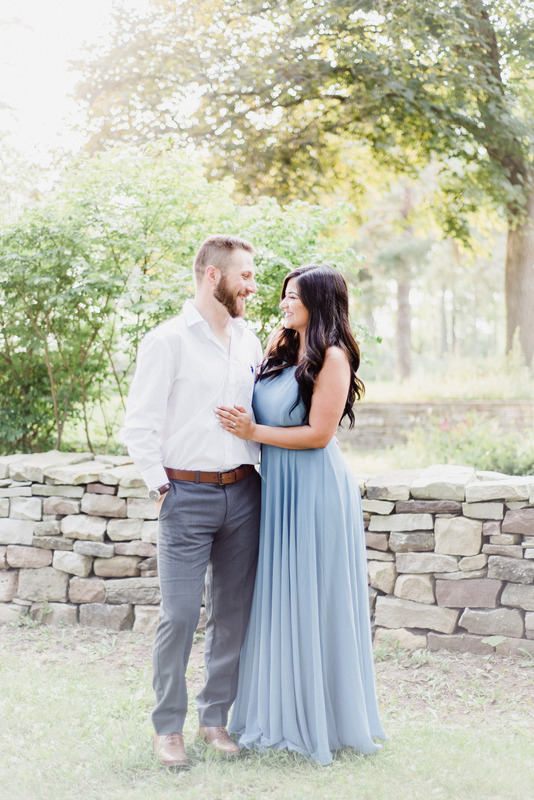 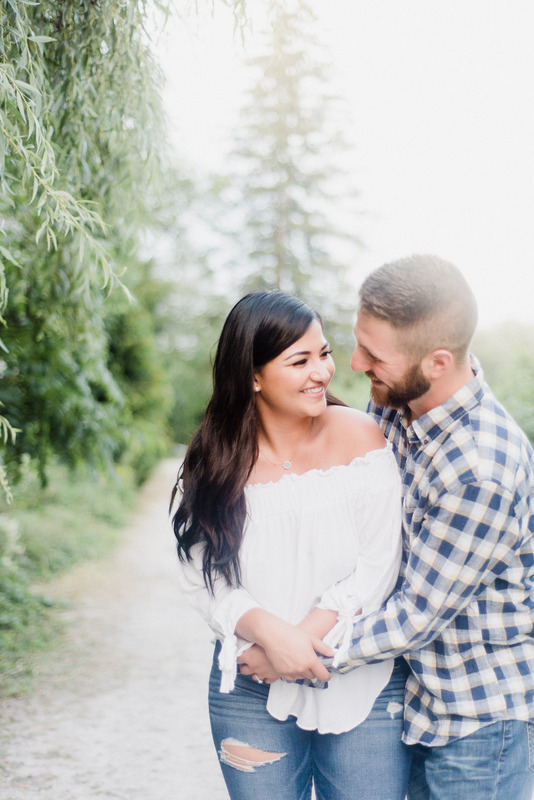 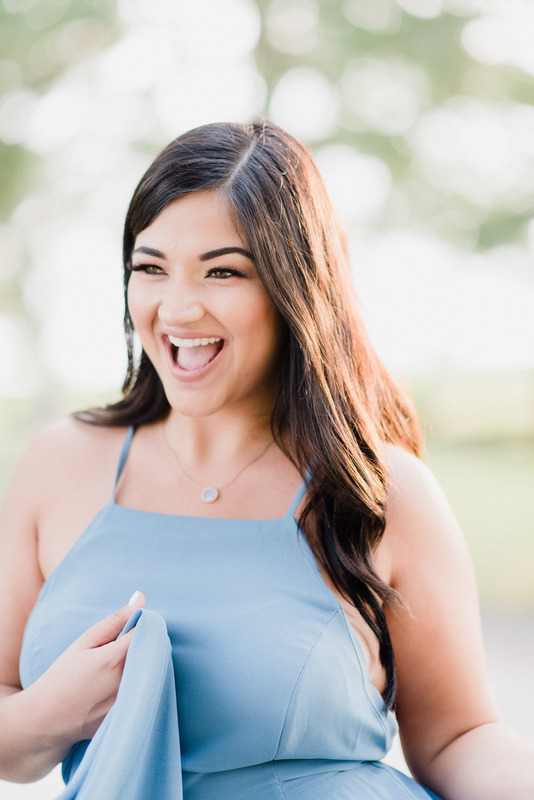 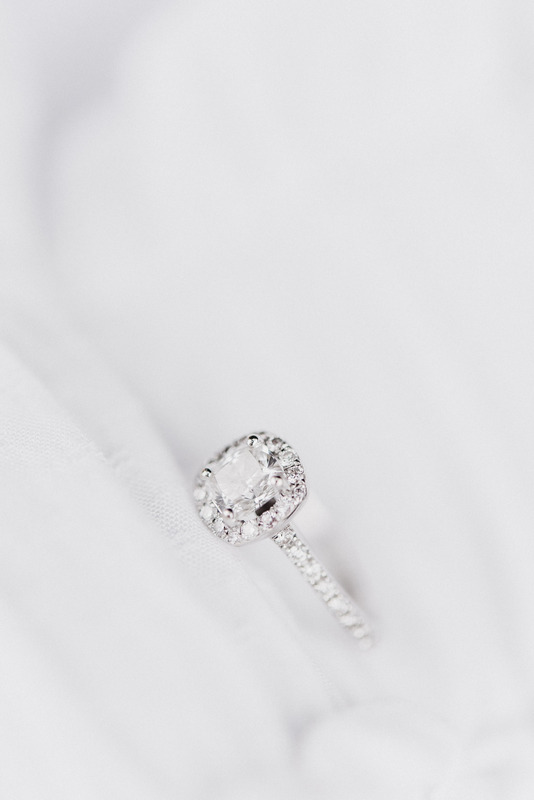 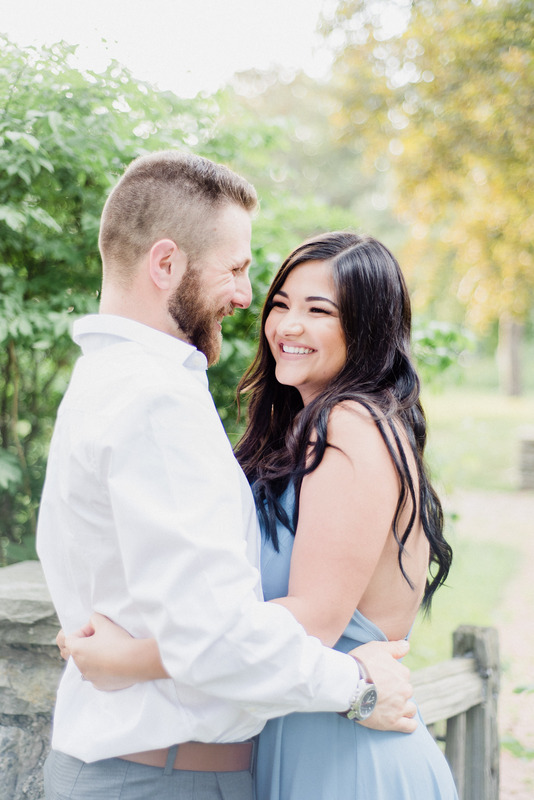 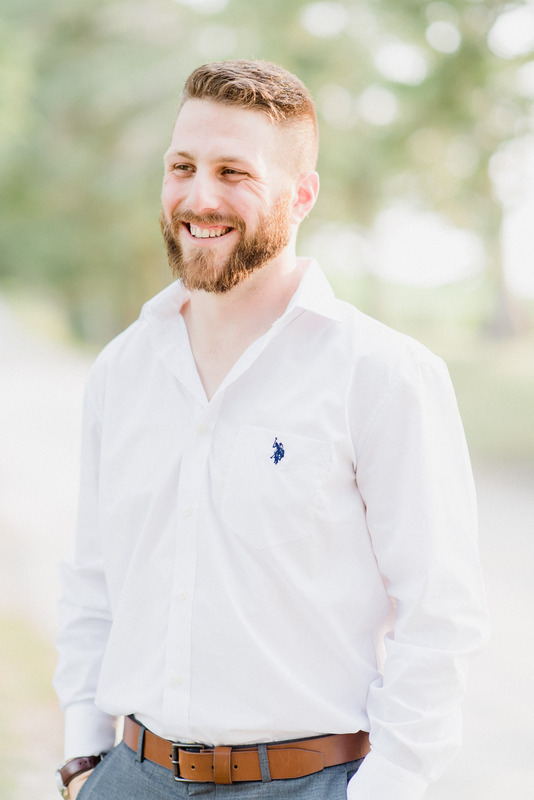 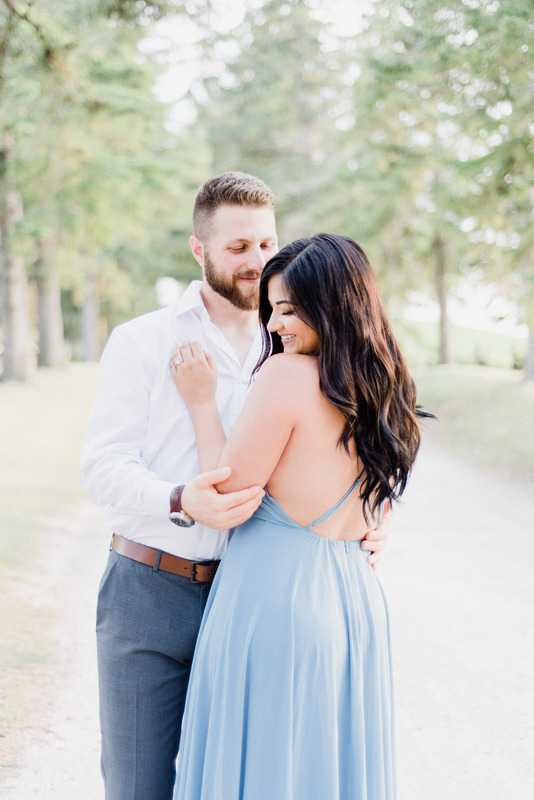 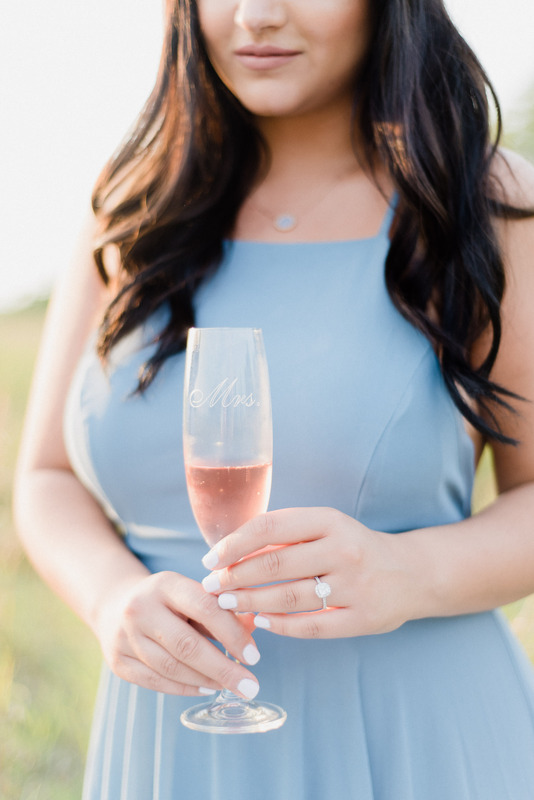 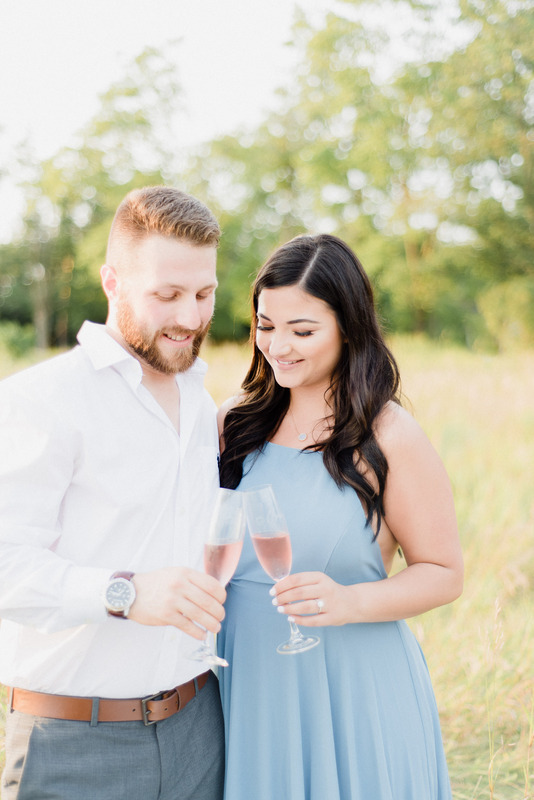 Now that this brand new website is up and running, I’m hoping to spend some time sharing more sessions that I’ve been coveting all to myself before wedding season kicks off again! 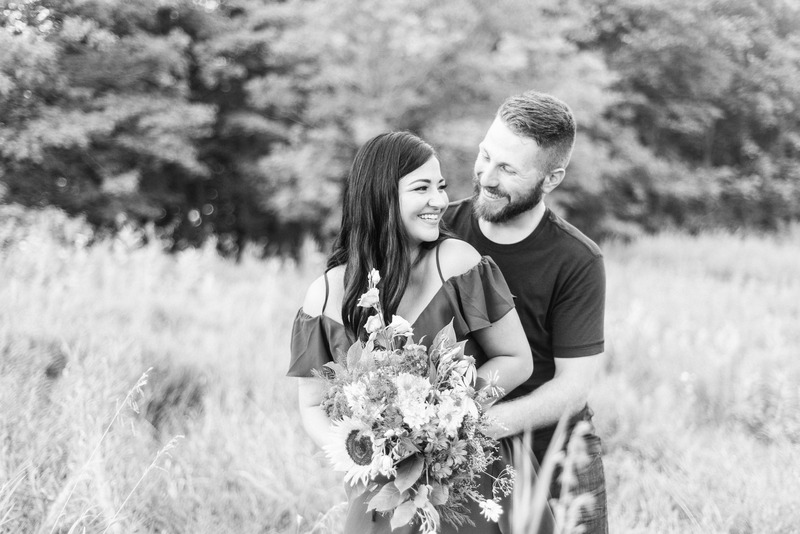 I wish I had more time to share everything I photograph for my couples, but you can always keep up to date over on my Instagram! 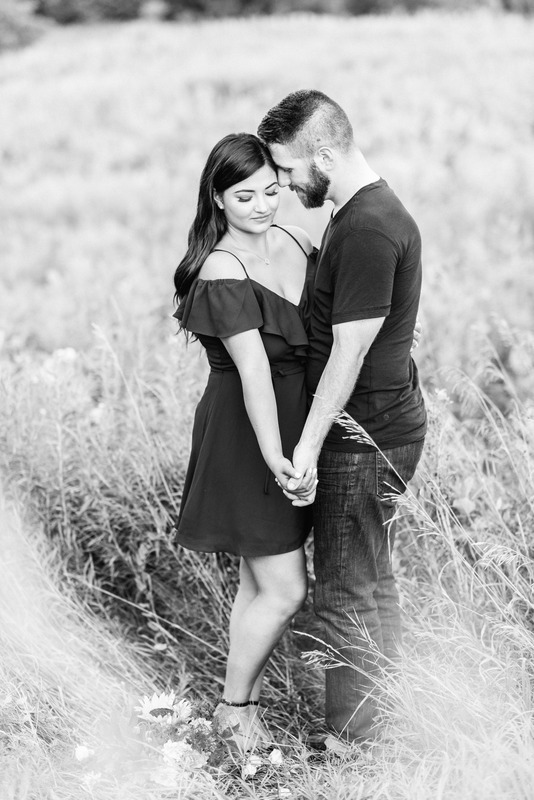 These two are going to be tying the knot this November (as my second last wedding couple of the year!) 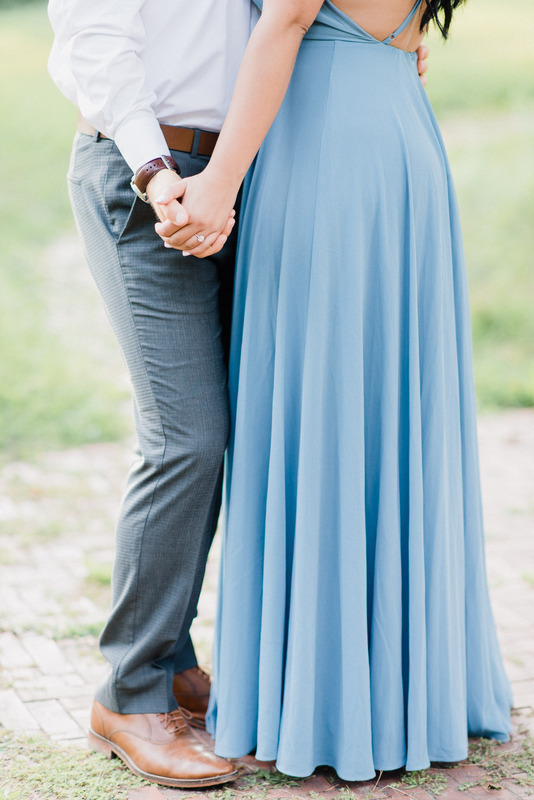 and I seriously can’t wait. 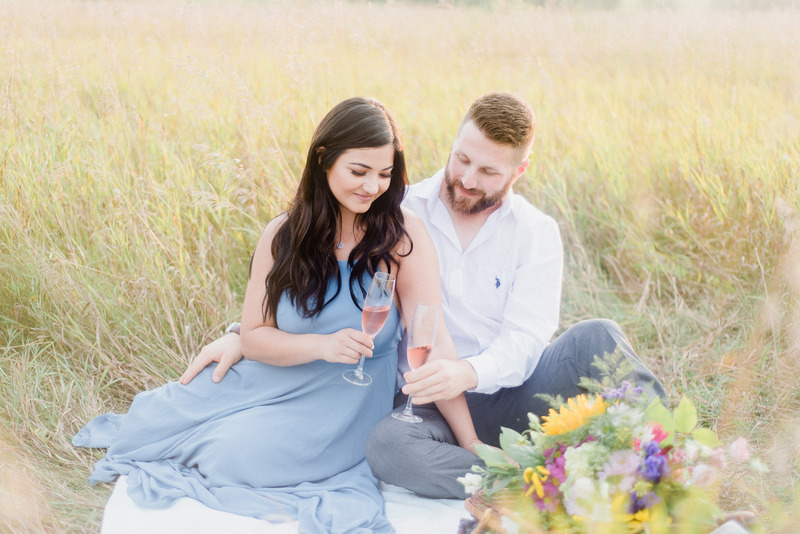 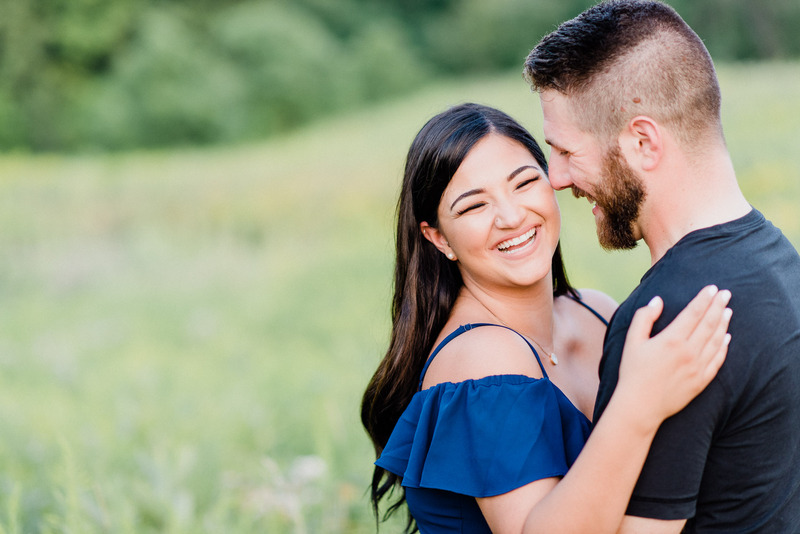 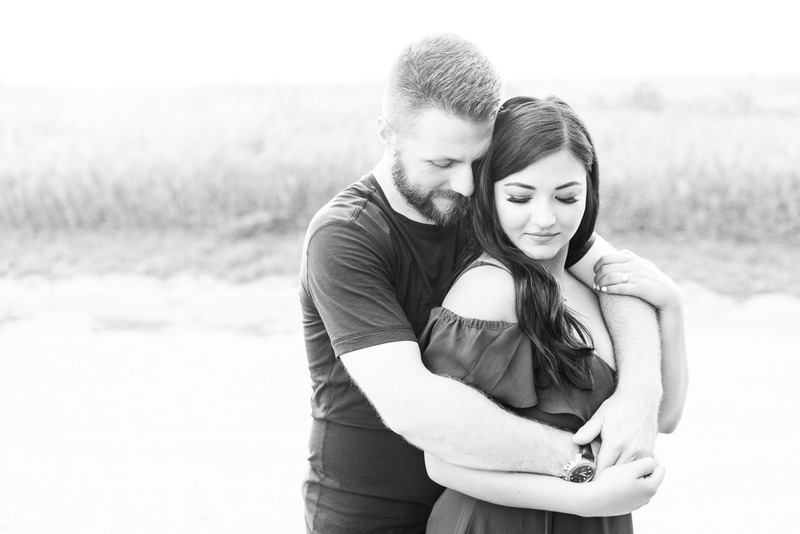 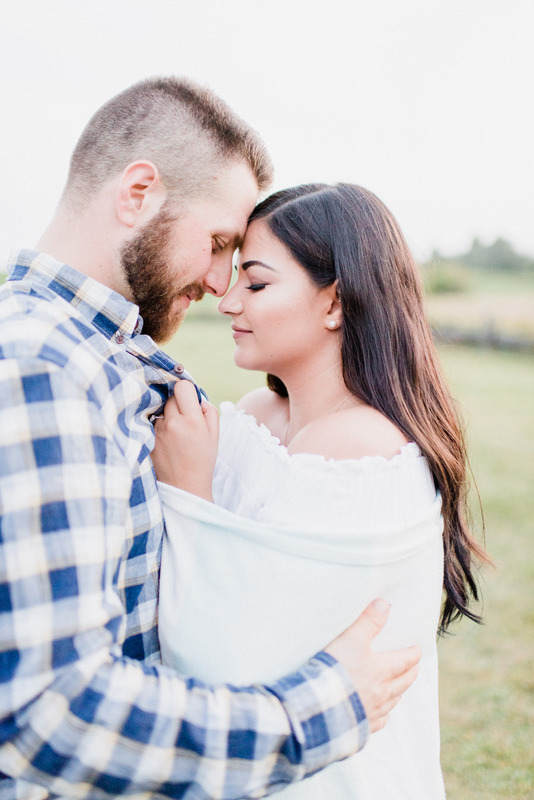 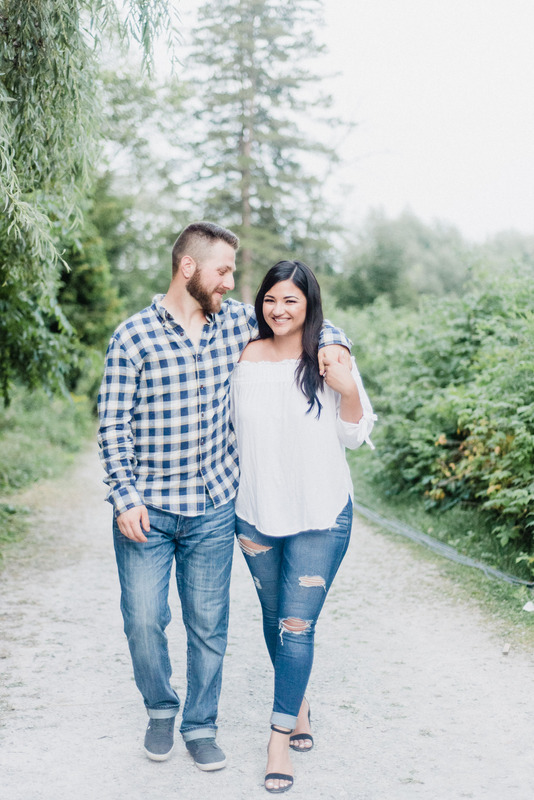 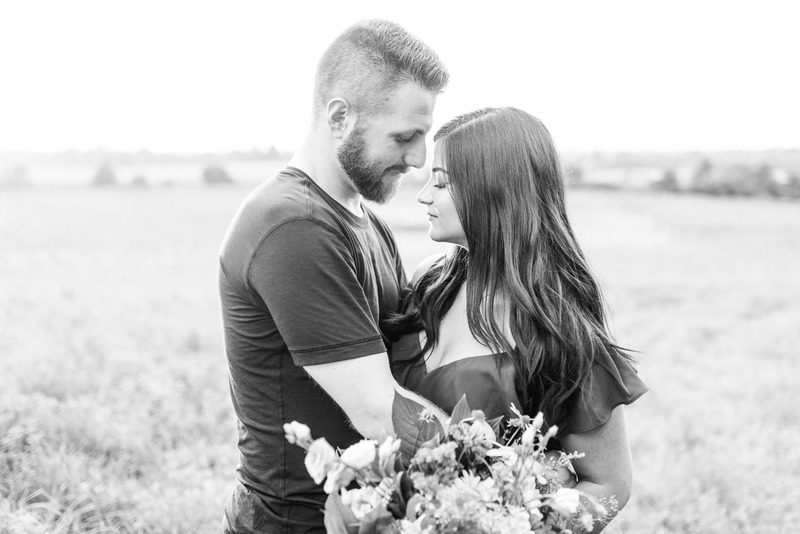 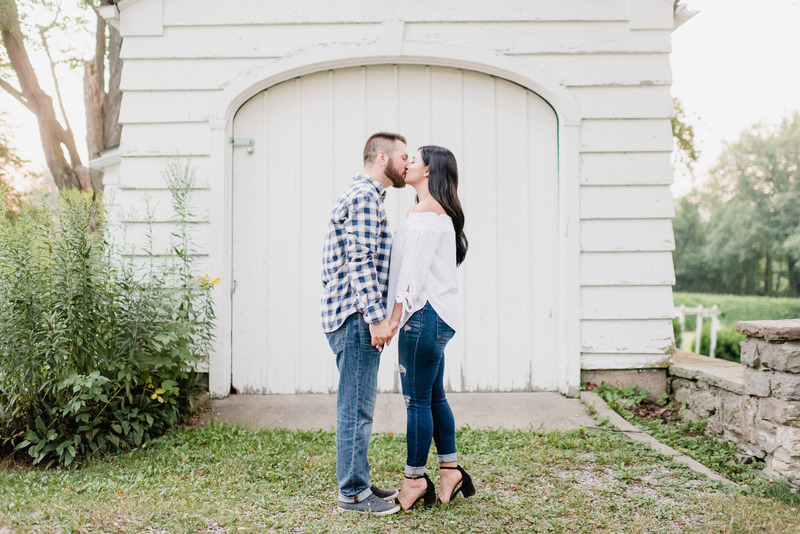 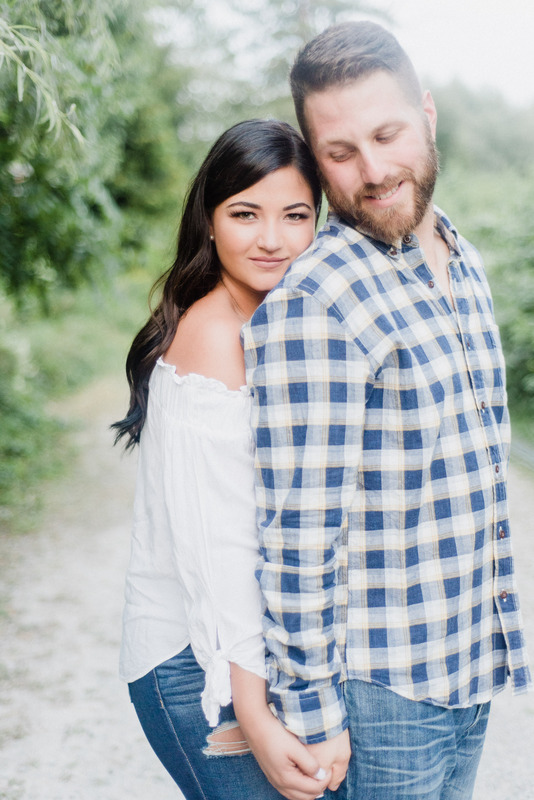 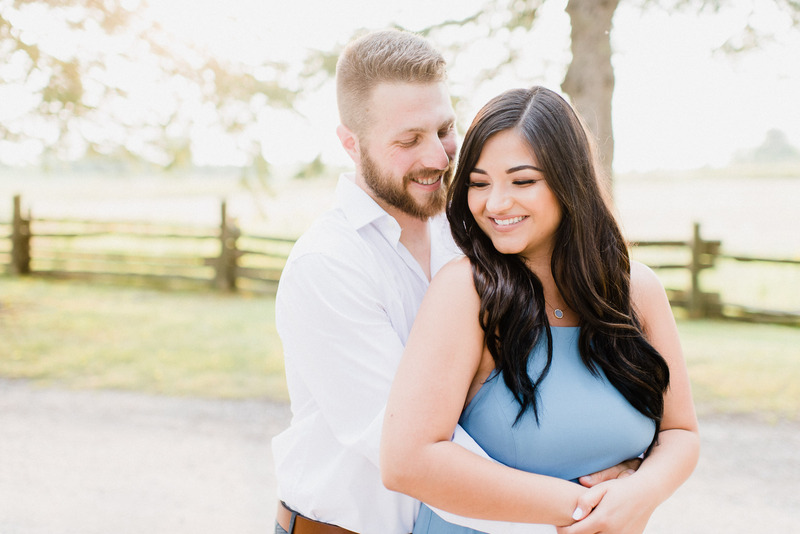 The thought and effort that they put into their engagement session seems like just a small preview of what is to come! 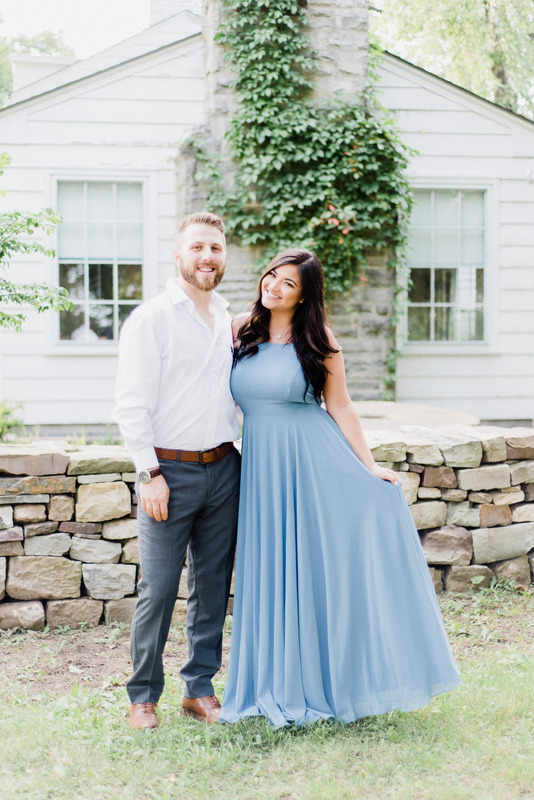 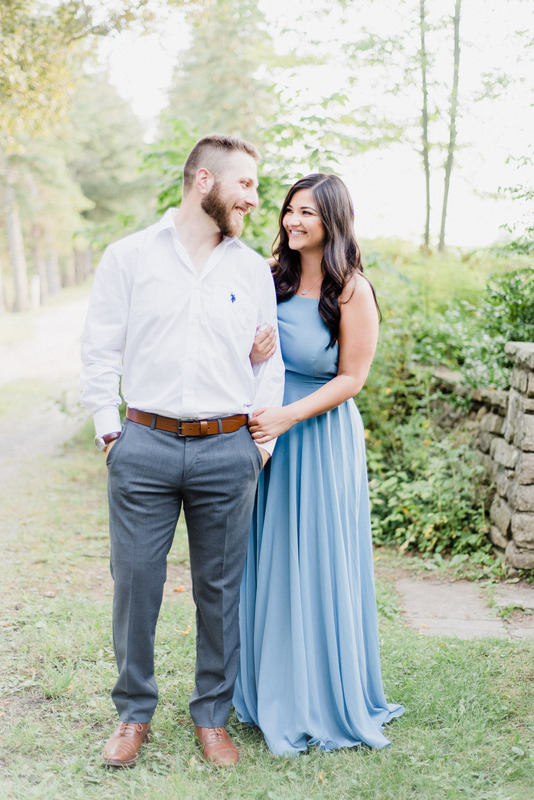 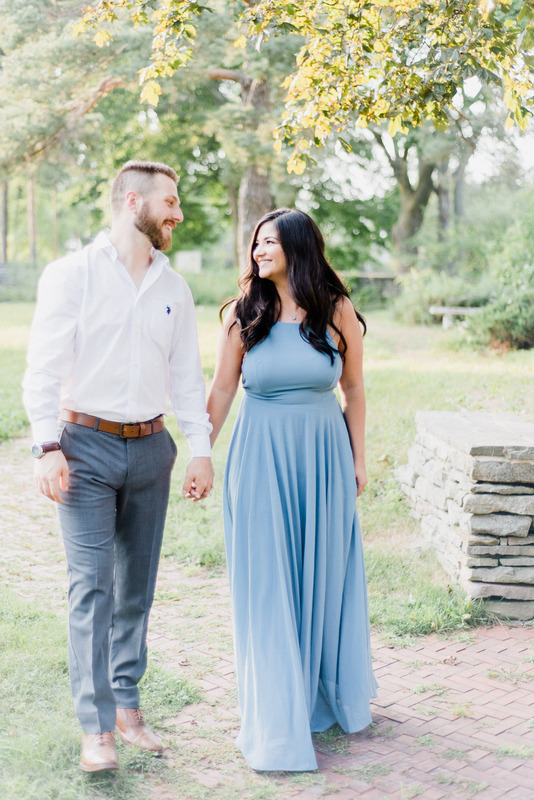 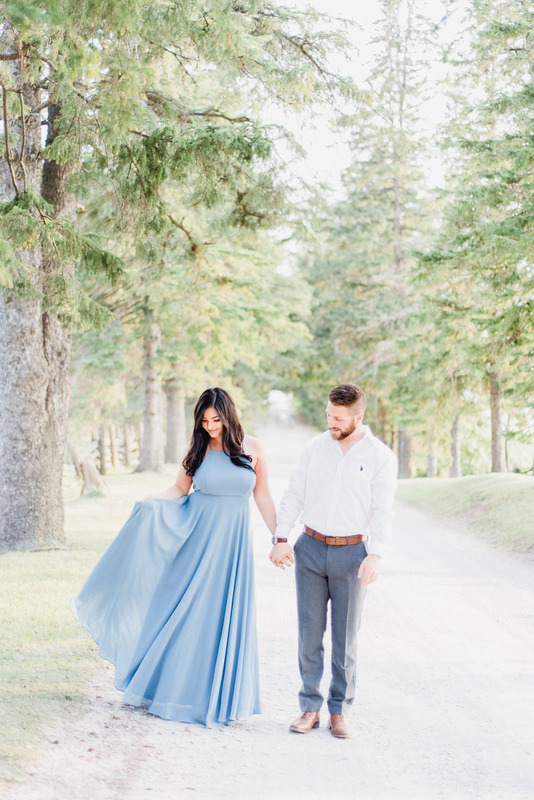 I’ve had SO many people message me on Instagram asking where Leanna got her gorgeous maxi blue dress from, and she even picked up a beautiful bouquet to bring along for the photos. 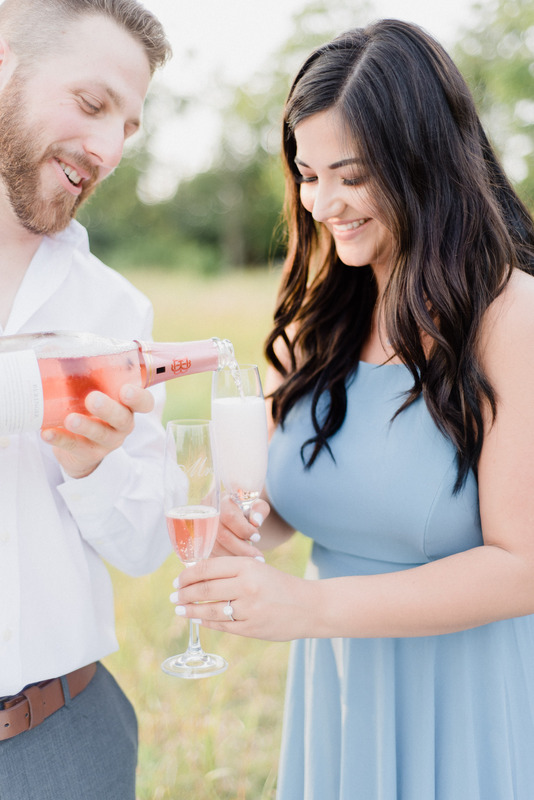 Plus, they’ve been determined to assemble a dream team of vendors to help their vision come to life, one of whom is the incredible Shaw Events! 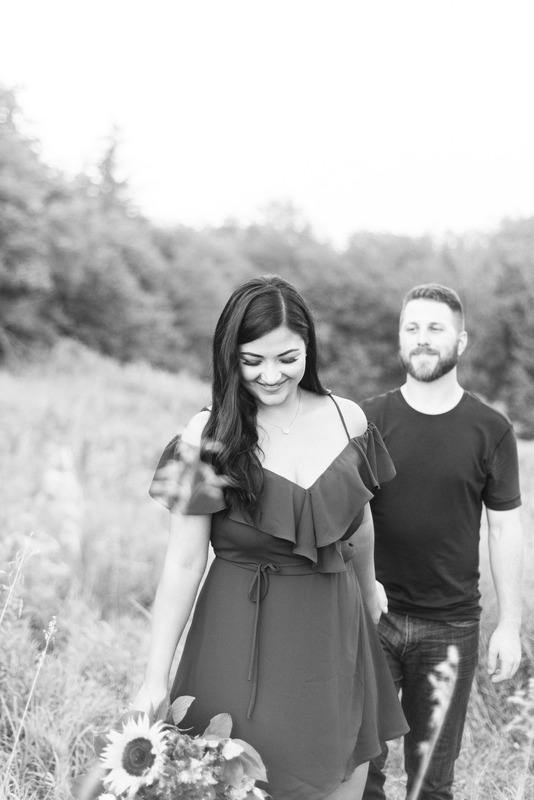 It’s always such a treat when I get to work with some of my pals. 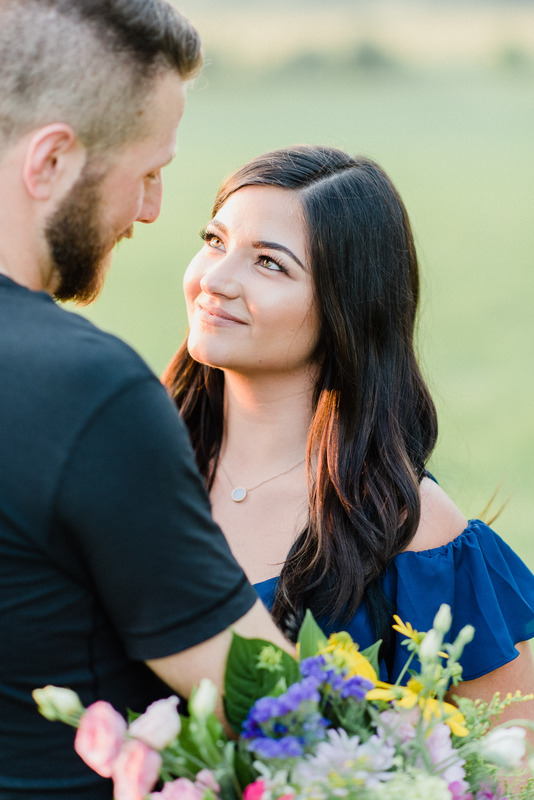 The always lovely Taylor Switzer did Leanna’s beautiful makeup for this shoot! 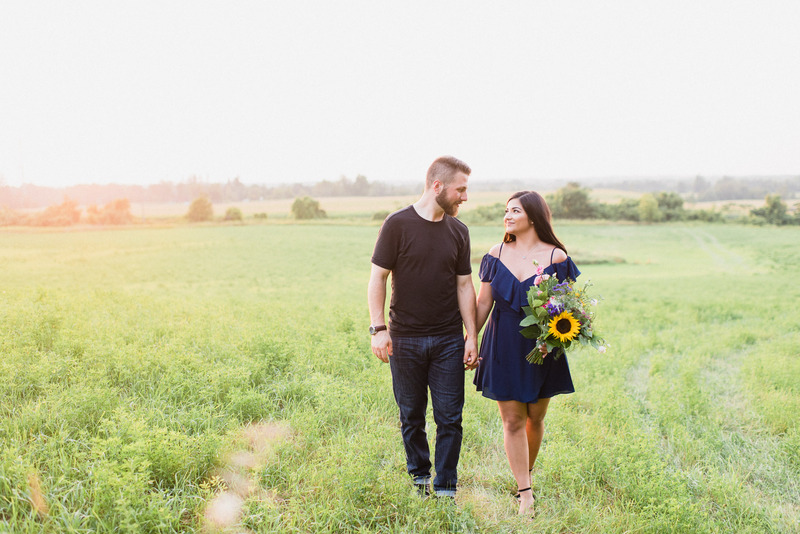 You might recognize this location from a few of my other engagement shoots that I’ve already posted- it’s the ever popular Scotsdale Farm! 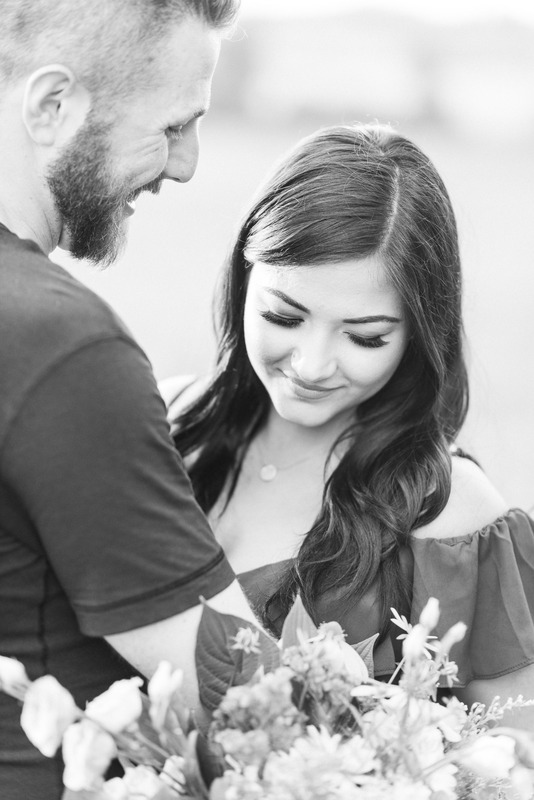 This place is just magical, I love it so much there. 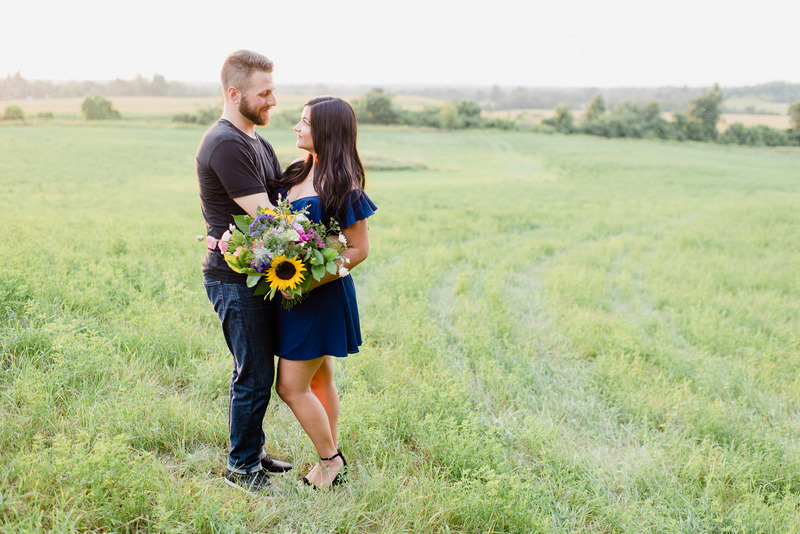 It’s one of the few places in the Greater Toronto Area where there is some semblance of rolling hills and not just flat land, like most of the landscape around here! 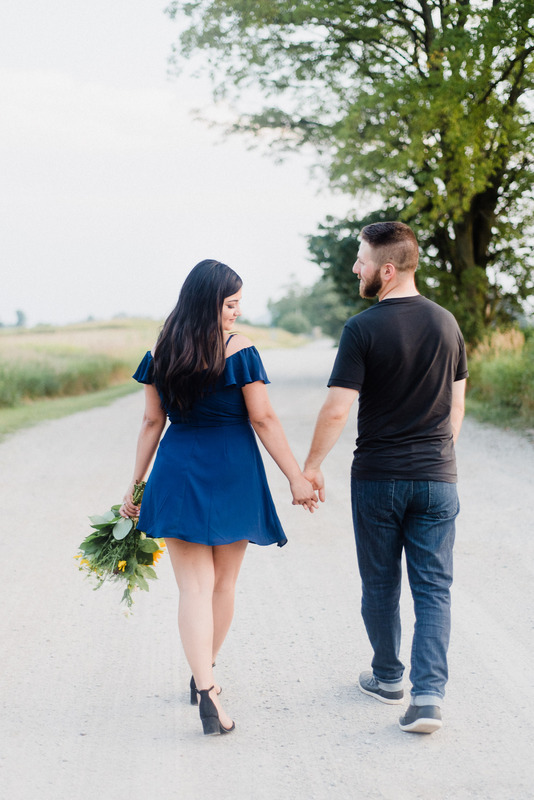 Tall grass, open fields, and a light coloured pathways are my jam!